Aaron Quinn reported the "abduction" to authorities, Huskins' family said. The boyfriend of a California woman who was reported abducted but found safe two days later said Thursday that he was not involved in a "hoax." "Our client has no responsibility for this kidnapping," said the attorney for Anthony Quinn, the man from whose home the woman was allegedly abducted. "He is in terrible shape -- mental and physical." Police in Vallejo, California, said on Wednesday they found "no evidence to support the claims" that Denise Huskins was abducted from a home there before she was found alive two days later and more than 400 miles away. The home from which Huskins, 29, was reportedly taken belongs to Quinn, 30. Quinn's attorney, Dan Russo, said Thursday that Quinn has "cooperated fully with the authorities," including in a 17-hour interrogation and seven visits to the police station. Russo said there was more than one kidnapper, and that Quinn was drugged and bound. "He was forced to drink something that even the kidnappers said was a drug," Russo said. Quinn's attorney said they do not know why authorities are implying the incident is a "hoax." "Besides the fact that our client was used as a football, we still don't want to jeopardize authorities' attempt to put the [suspect] behind bars," Russo said. Quinn's attorney said they don't know where Huskins is and they instructed Quinn not to try to reach her, so he hasn't, though he wanted to contact her when he learned she was discovered. 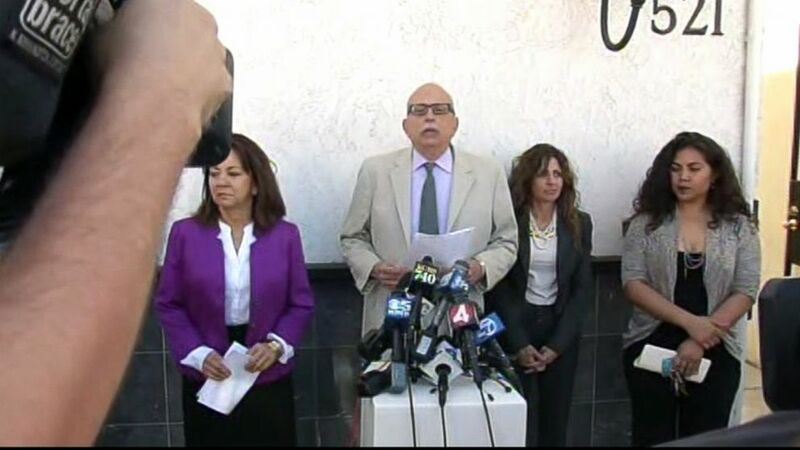 (ABC News) Aaron Quinn's attorney, Dan Russo, speaks at a press conference at his Vallejo, Calif., office, March 26, 2015. Huskins' family said Quinn is the man who called 911 hours after her "abduction." Vallejo Police Lt. Kenny Park said the two were dating. Quinn has a "very good relationship with the woman who was kidnapped and his concern was that the woman was not killed or harmed," Russo said, adding that neither person has "any drug or alcohol issues." "There seems to be a stream of blatant lies about our client, about the victim, and everything else that's going on," Russo said. Police said that Quinn told authorities that whoever abducted Huskins made an $8,500 ransom demand. "There is something very, very off about this investigation," said Quinn's attorney Amy Morton, adding that authorities have given "lies" to Morton and Russo. "It's important to note all the ransom notes were not directed to her parents or family, they were directed toward [Quinn]," Russo said. Huskins, a physical therapist, was found in Huntington Beach, California, on Wednesday morning, police said. Her father, Mike Huskins, told ABC News that his daughter called him from Huntington Beach to say she was safe. Huskins had promised through family members to speak with investigators but as of late Wednesday they were unable to contact her or her family, police said, adding that she has since retained an attorney. Huskins could not be reached for comment by ABC News Thursday. "All indications initially were that she would be cooperative with the investigation," Park said during a news conference Wednesday night. But "as of right now, we have not heard from Ms. Huskins." The FBI, which assisted Vallejo police in its investigation, had arranged for an aircraft to bring her from Huntington Beach to Northern California for the interview, police said. But, detectives said yesterday they don't know where she is. "There is no evidence to support the claims that this was a stranger abduction or an abduction at all," read a statement from the Vallejo Police Department. "Given the facts that have been presented thus far, this event appears to be an orchestrated event and not a kidnapping." 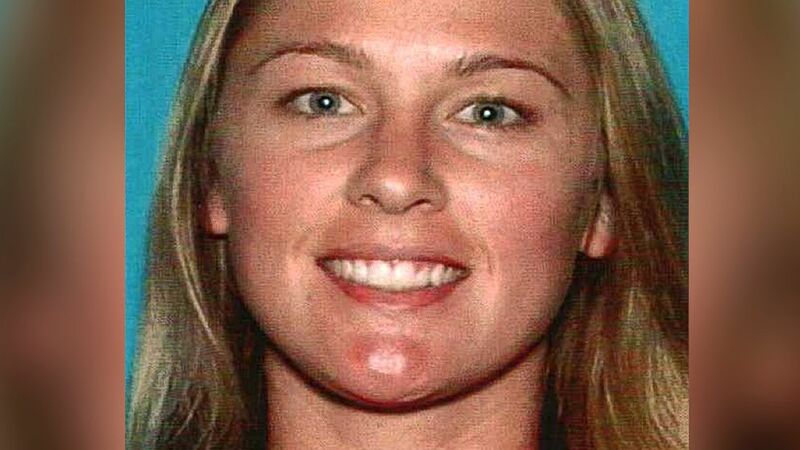 (Vallejo Police Department/AP Photo) This undated photo released by the Vallejo Police Department shows Denise Huskins. Police say Huskins, who was reported kidnapped from her boyfriend's San Francisco Bay area home and held for ransom, has contacted her father to say she's in the Southern California city of Huntington Beach. Huskins was reported missing at 1:55 p.m. Monday by what police described as a 30-year-old man who called to report the alleged kidnapping and claimed he witnessed it. Police previously said that Huskins was abducted from the home where she was staying in Vallejo hours earlier, at about 3:30 a.m. The San Francisco Chronicle on Wednesday reported it received an email the day before from an "anonymous person claiming to be holding Denise Huskins." The newspaper reported the email said that Huskins "will be returned safely [Wednesday]" and that "any advance on us or our associates will create a dangerous situation for Denise." The email was also reported to include an audio file of a woman identifying herself as Huskins who referred to Tuesday's plane crash in southern France -- ostensibly as a time marker for proof of life -- and identified the first concert she had attended in her life, the name of a childhood friend she attended the concert with, and the name of the friend's mother as proof of her identity. "That was her. The tape recording was her. That I know. They said they were going to drop her off and they did," Mike Huskins told the Chronicle after being played the audio recording. "I'm relieved. You have to expect the worst -- but in my heart, I knew she was still alive." Police in Vallejo said they received the same email and audio file but did not confirm its contents. Vallejo police said in its statement that it would request either state or federal charges "if evidence indicates that either Ms. Huskins or Mr. Quinn have committed a criminal act." "The Vallejo Police Department would like to ensure the public that there is no indication that this was a random act of violence," police said in its statement. More than 40 detectives from the local, state and police levels assisted in the investigation and search for Huskins, Park said. "That is a tremendous amount of resources that in my opinion was wasted," he said, adding that the search could be classified as a "wild goose chase." The investigation is ongoing and police are still trying to determine whether anyone else was involved, Park said. The FBI declined to comment and directed ABC News to Vallejo police.